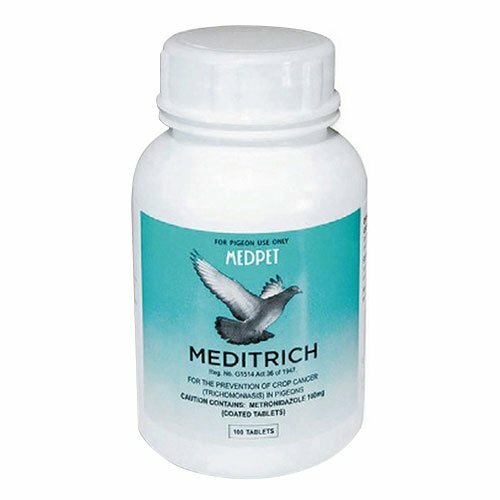 Meditrich, a MedPet product has been developed in such a way that it aids in fighting against crop-canker or Trichomoniasis in birds and pigeons. 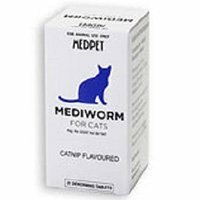 It is advisable to alternate Meditrich treatment with Medizole to prevent the parasites becoming resistant to the treatment. Metronidazole is the active ingredient present in Meditrich. It is not water-soluble and causes severe regurgitation if dosed in its pure form - the exclusive “MedPet cellulose coating“ of the tablet overcomes both these problems. 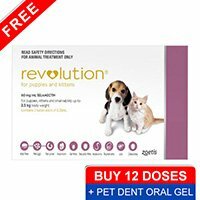 It is one of the best products recommended by veterinarians in our country for the preventative treatment of Trichomoniasis in pigeons and birds. Meditrich is the ultimate treatment for birds and pigeons suffering from crop-canker or Trichomoniasis. A single dose of the treatment is enough to combat infection and protect the health of birds and pigeons. 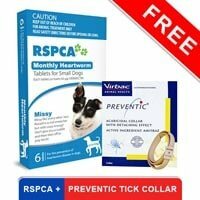 This treatment is extremely safe for young and breeding birds. It has been found that this treatment cures roughly 93% of Trichomoniasis cases. It even aids in recuperating the birds and pigeons infected through Trichomoniasis. An exclusive crop-canker treatment for birds and pigeons. Administer a single tablet per pigeon on a monthly basis during the racing season. Administer one tablet to young birds on the day of weaning. 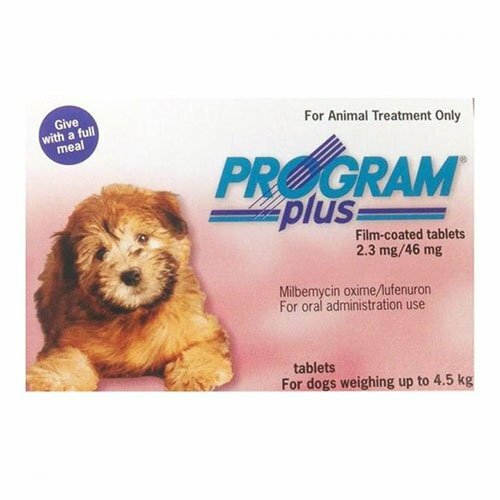 To control parasites from becoming resistant to Meditrich treatment, mix this treatment with other preventives including Medizole and Cankerex. The container needs to be closed firmly after use. 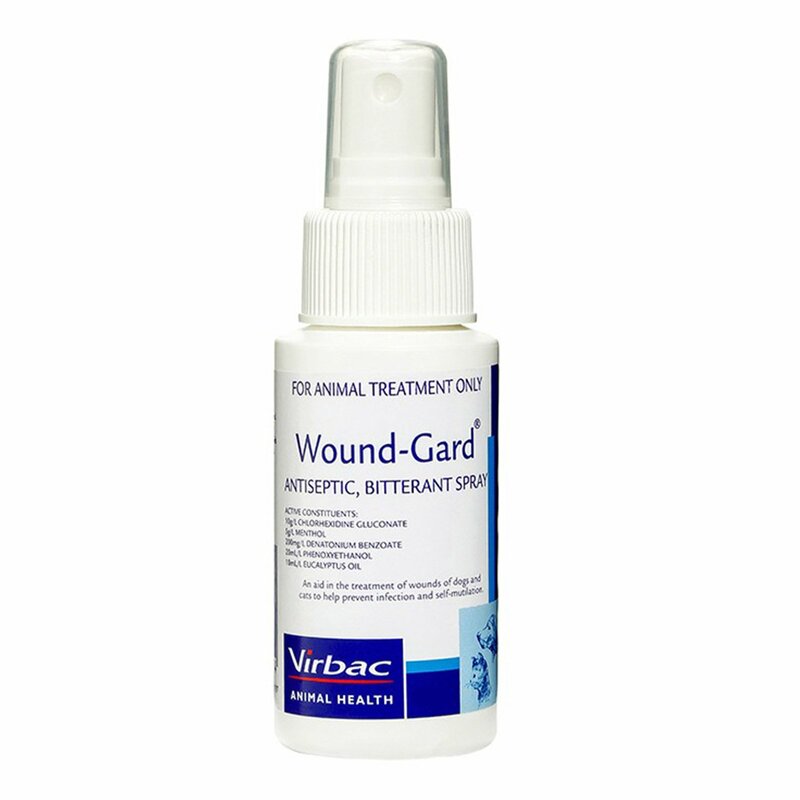 This treatment is safe to be administered to young birds. 5 of 62 found this review helpful.